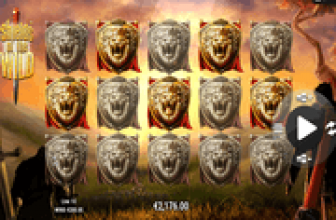 Poltava Flames of War Online Slot: Epic Wins via Marching Reels and Bonus Game Sticky Wilds! Poltava Flames of War online slot by Elk Studios commemorates the epic 17th century Great Northern War “Battle of Poltava.” A battle for supremacy between the Swedish and Russian Empires, the outcome of the Poltava encounter eventually led to the rise of the Russian Tsardom. Delivered to online casinos powered by the NextGen/NYX Gaming platform, the reel icons and special features depict the heroic attempt of the Swedish army to assault the Cossack's Poltava stronghold. The Horse, the Cannon and the Soldier icons represent the Cavalry, Artillery, and Infantry units that will push forward as Marching Reel symbols. Once a full-reel Stack of Horse, Cannon, or Soldier Symbols emerge as outcome of any spin, the reels will launch a respin. Potentially, a series of respins and major wins occur, if more combat units emerge after every free turn. The Marching Reels feature occurs only in the base game and during the re-spin activated by the 4-symbol, stacked images of the Horse, Cannon, or Soldier icons. The win-boosting attribute will reinforce the advancing army by adding more identical Horse, Cannon, or Soldier icons in the second row,and across the reels located on the left of the frontline, 4-symbol Marching Reel. As the reels respin, all images of the identical combat units will move one position toward the right to depict the troop's advancing actions. If the RIGHTSIDE REELS produce another identical image of the advancing troops, all reels will once again respin. Additional icons of an active combat unit emerging on the LEFTSIDE REELS will join forces with the advancing frontline Marching Reel Symbols. They will become part of the matched-symbol combinations depicting the advancing troops moving to the right, and toward the 5th reel. The Marching Reel feature ends if the advancing combat troops reach their Reel 5 destination; or if no new combat unit emerges on the RIGHTSIDE REELS. If during a respin, the icon of a higher-paying combat unit emerges, the Marching Reel Symbols will be upgraded. The higher-paying combat icon will replace the lower-paying combat troop symbols originally comprising the Marching Reels. Moreover, Wild Symbols do not qualify as suitable substitutes for any combat unit advancing as Marching Reel Symbols. The Poltava Game Logo serves as the base game Wild icon but only for purposes of completing regular matching symbols. It cannot pose as eligible substitute to a Horse, Cannon, or Soldier icon if to form part of the Marching Reels symbols. Lion Sticky Wild Symbol – The Lion Symbol poses as the base game symbol that could trigger the Free-Spins Bonus Round. Once the free games are activated, the Lion Bonus Symbols that triggered the bonus feature will become Sticky Lion Wilds. The icons will remain as such through the end of the free round. Any Lion Wild icon emerging across the reels after a bonus spin will also become sticky, whilst adding one (1) Extra Bonus Spin. 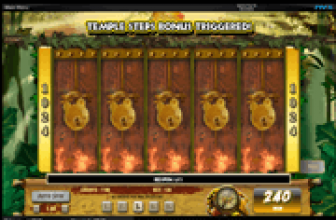 A trio of Lion Bonus Symbols triggers a set of three (3) bet-free spins. In the bonus game, only the Sticky Lion Wild Symbols will be featured as win-boosting elements. The enhancements include the +1 Free-Spin attribute of every Sticky Lion Wild emerging after a bonus spin. Elk Studios went beyond adding win-boosting features to help players optimize the money staked on each spin. Offered as Betting Strategies, and as alternative to the standard betting system, each strategy represents a predefined set of bet values that apply automatically in accordance with the results of the slot play. The “Optimizer” for one, automatically changes the bet amount by basing the new bet on a certain percentage of a player's current Poltava game credit balance. Other strategies include the “Leveller,” the “Booster,” and the “Jumper.” Bet modifications occur either after every loss or after a number of losses, or after every win. Except for the “Optimizer,” the bet resets after a win or loss, whichever conforms to the betting strategy selected. Poltava Flames of War - Epic Slot Game, Poignant-Themed Yet Genuinely Rewarding! Poltava Flames of War online slot by Elk Studios brings a poignant battle-themed slot that depicts the epic encounter between the armed forces of the 17th century Swedish and Russian Empires, whilst bringing a truly rewarding betting experience via the base game Marching Reels Symbols and the bonus game Sticky Wilds!